The RP Photonics Buyer's Guide contains 40 suppliers for narrow-linewidth lasers. A number of laser applications (see below) require lasers with a very small optical linewidth, i.e., with a narrow optical spectrum. The term narrow-linewidth lasers usually applies to single-frequency lasers, i.e., lasers oscillating on a single resonator mode with low phase noise and thus with high spectral purity. Typically, such lasers also exhibit low intensity noise. Among semiconductor lasers, distributed feedback laser diodes (DFB lasers) and distributed Bragg reflector lasers (DBR lasers), operating e.g. in the 1.5- or 1.0-μm wavelength region, are the most common. 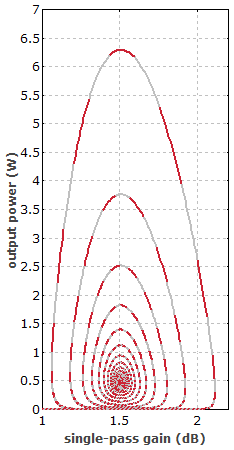 Typical operation characteristics are an output power of some tens of milliwatts (or possibly somewhat above 100 mW) and a linewidth of several megahertz. Significantly smaller linewidths from semiconductor lasers are possible e.g. by extending the resonator with a single-mode fiber containing a narrow-bandwidth fiber Bragg grating, or with other types of external-cavity diode lasers. In such a way, ultra-narrow linewidths of a few kilohertz or even below 1 kHz can be achieved. Small fiber lasers in the form of distributed feedback lasers (with the resonator formed essentially by a special fiber Bragg grating) can generate tens of milliwatts of output power with a linewidth in the region of a few kilohertz. Higher output powers can be generated with longer distributed Bragg reflector lasers (DBR fiber lasers) or unidirectional fiber ring lasers, and also by using a fiber amplifier. Diode-pumped solid-state bulk lasers, e.g. in the form of nonplanar ring oscillators, can also have linewidths of a few kilohertz, combined with relatively high output powers of the order of 1 W. Although a 1064-nm wavelength is typical, other wavelengths e.g. in the 1.3- or 1.5-μm wavelength regions are also possible. First, single-frequency operation needs to be achieved. This is easiest when using a gain medium with small gain bandwidth and a laser resonator with short length (leading to a large free spectral range). The goal should be long-term stable single-frequency operation without mode hopping. Second, external noise influences must be minimized. This requires a stable resonator setup (preferably a monolithic one), possibly with special protection against mechanical vibrations. 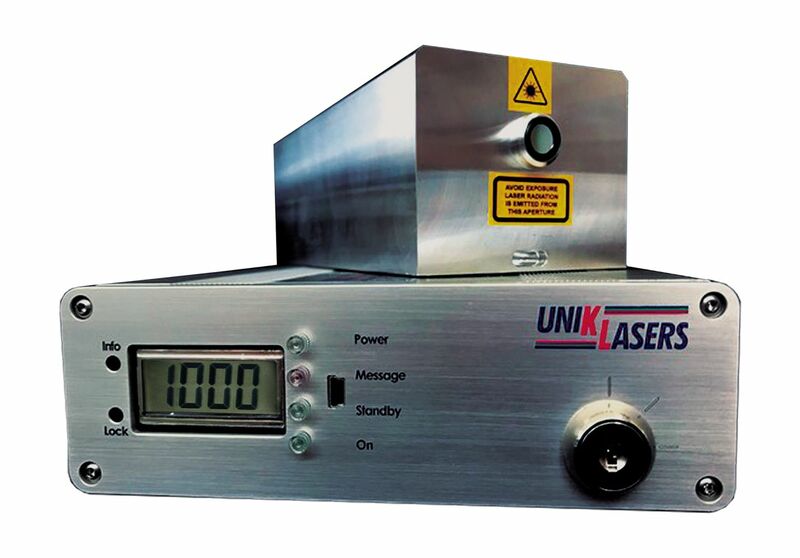 An electrically pumped laser should be operated with a low-noise voltage or current source, and an optically pumped laser should have a pump source with low intensity noise. Furthermore, any optical feedback must be avoided, e.g. by using a Faraday isolator. Ideally, external noise influences will become lower than internal noise, e.g. from spontaneous emission in the gain medium. This is often easily achievable at high noise frequencies, but not at low noise frequencies which are most important for the linewidth. Third, the laser design should be optimized so that the laser noise and in particular the phase noise are minimized. A high intracavity optical power and long resonator can be beneficial, although stable single-frequency operation is more difficult to achieve with a longer resonator. Of course, the design optimization requires that the relative importance of different noise sources is known, because different measures can be required depending on which noise source is dominant. For example, measures which minimize the linewidth according to the Schawlow–Townes equation will not necessarily minimize the actual linewidth, if this is determined e.g. by mechanical noise. Both the characterization and the specification of the noise of narrow-linewidth lasers are far from trivial issues. Various measurement techniques are discussed in the article on linewidth, and particularly for linewidth values of a few kilohertz or less such measurements are demanding. Furthermore, a linewidth value alone can not be considered a complete noise characterization; it is preferable to have a complete phase noise spectrum, apart from information on relative intensity noise. At least, the linewidth value should be specified together with a measurement time, and possibly with some information concerning frequency drifts for longer time intervals. Of course, different applications have different requirements, and it should be checked in detail how tight noise specifications should really be demanded in any particular case. A particularly important field of application is the area of sensors, e.g. 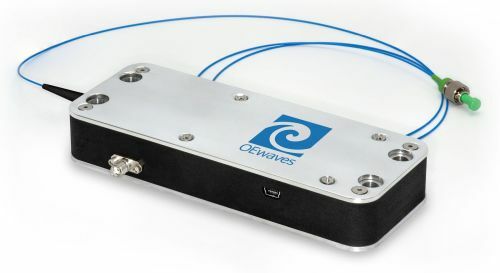 fiber-optic sensors for strain and/or temperature, various types of interferometric sensing, trace gas detection with differential absorption LIDAR (DIAL), or wind speed measurements with Doppler LIDAR. Linewidths of only a few kilohertz are required for some fiber-optic sensors, whereas 100 kHz can be sufficient for, e.g., LIDAR measurements. Optical frequency metrology requires sources with very narrow linewidth, often achieved with stabilization techniques. Holography requires either continuous-wave or pulsed single-frequency lasers for generating highly coherent light. Normally less demanding in terms of linewidth are applications in optical fiber communications, e.g. in transmitters or for test and measurement purposes. 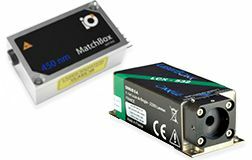 All of TOPTICA’s tunable diode lasers offer a narrow linewidth of typically 100 kHz, corresponding to coherence lengths of almost 1 km. By stabilizing these lasers even further with TOPTICA’s locking electronics, linewidths below 1 Hz are possible. 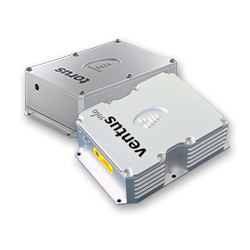 HI-Q™ 1.5 MICRON LASER: ultra-narrow Lorentzian linewidth less than 1 Hz and low phase/frequency noise in a compact form factor, emitting at 1530–1565 nm. HI-Q™ 1 MICRON LASER: ultra-narrow Lorentzian linewidth less than 80 Hz and low phase/frequency noise in a compact form factor; 980–1080 nm. HI-Q™ 2 MICRON LASER: ultra-narrow Lorentzian linewidth less than 80 Hz and low phase/frequency noise in a compact form factor; 1900–2100 nm. 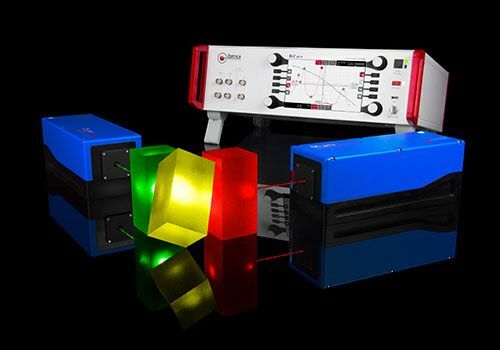 HI-Q™ CUSTOM LASER: custom built laser with ultra-narrow Lorentzian linewidth and low phase/frequency noise in a compact form factor in the range 370–4500 nm.